I have previously written about the importance of never returning to light duty work without a WC-240a form completed by your doctor after being out and receiving temporary total disability benefits. The WC-240 and WC-240a will set out specific limitations for the type of activities you can perform in your light duty. Board Form WC-240 contains a “Notice to Employee of Offer of Suitable Employment” containing the a job title, rate of pay, hours of work and date light duty work is to start. Form WC-240 is filled out by your employer/insurer. A WC-240a should be attached to the WC-240. 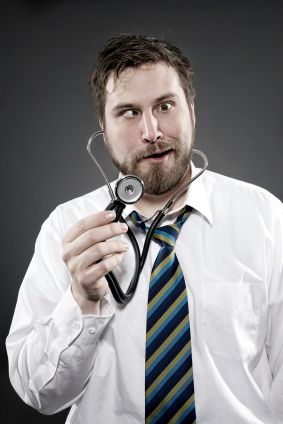 Board Form WC-240a must be completed by your authorized treating physician. It contains a detailed checklist setting out specific activity limitations for your light duty return to work. If you return to work with a WC-240 and WC-240a and within 15 days, you find that the offered job does not fit within your limitations and you cannot perform the job duties, you can leave the workplace and your TTD benefits will resume automatically (although your employer can subsequently ask for a hearing to terminate your benefits). If you return to work without a WC-240 description of activity limitations, and cannot perform the job, you also have 15 days to determine whether you can perform your job and thus get an automatic reinstatement of your TTD benefits. However, my experience has been that insurance adjusters are much more likely to challenge your decision to leave a light duty job by filing paperwork to cut off benefits if there is no WC-240 description of a light duty job for you. I am currently representing a client with a significant back injury who is currently treating with a posted panel doctor. The doctor in this case is well known to me and other claimant’s lawyers as a physician who very rarely keeps a patient on no work status very long and who is reluctant to order diagnostic tests or to refer a patient out to a specialist. This particular doctor apparently gets all of his business from insurance companies and his medical decisions are a byproduct of his source of fees. I know about this doctor’s bias and the insurance adjuster surely knows this as well, yet I find myself playing the same game once again. The panel doctor will release my client to full or light duty work. The insurance adjuster will issue a notice of termination of benefits. I will file for a hearing and/or a change in treating physician. Eventually, the adjustor or defense attorney and I will agree on a legitimate doctor who will most likely find that my client needs surgery. Benefits will be restored and my client will get the treatment he needs. Even though the script has already been written, insurance adjusters keep trying to close out cases involving seriously injured claimants. I suppose that sometimes they get away with this nonsense – either because the claimant is unrepresented or because the claimant has an inexperienced lawyer. Having been on the other side, I know how this game is played and it is not going to happen on my watch. 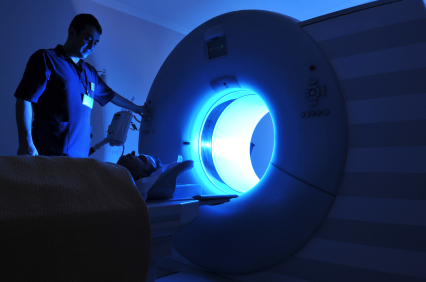 Insurance adjusters are quick to cut off benefits but when a physician calls for more expansive treatment, an MRI, or a referral to a specialist, the process usually grinds to a crawl. I talk about this a lot with clients and colleagues but it bears repeating – you are going to get walked on if you let the insurance company dictate the pace and progress of events. Timing is everything in a workers’ compensation case and you have to demand action or nothing happens. Social Media and Workers’ Compensation Claims – a Bad Combination! Would you be surprised if I told you that those photos you uploaded to Facebook, or that video of your child’s basketball game now playing on YouTube, or even your restaurant “check-in” on Yelp could cost you thousands of dollars and seriously undermine your workers’ compensation case? Unfortunately all of these things have happened to men and women pursuing work injury claims in Georgia. information about your life can be available to anyone who is looking. And you can bet that insurance adjusters and insurance defense lawyers are looking. While private eye surveillance is still used, insurance defense adjusters also run searches for you on various social media platforms. If they see you running, jumping, lifting or doing anything inconsistent with your claimed injury, they will use that video, photograph or post as grounds to cut off your benefits. A colleague of mine tells the story of a client of his who decided to video her son’s high school wrestling match and thereafter uploaded to YouTube. At one point the video shows the claimant climbing bleachers, then jumping up and down to cheer her son. Unfortunately this woman was asserting a job injury to her hips and lower back that she claimed was disabling. When confronted with the video, she insisted that the wrestling match was a one-time event and that she ended up in bed for a week thereafter. The workers’ compensation judge did not accept this argument and upheld the insurance company’s termination of benefits. A case that could have settled for $50,000 to $75,000 ended up settling for nuisance value of less than $5,000. Don’t let this happen to you. If you are pursuing Georgia workers’ compensation benefits, close or suspend your social media activities until your case is over. 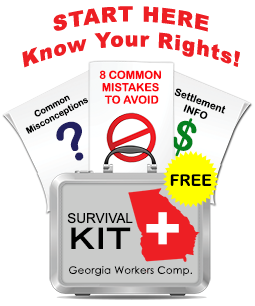 If you have never been involved in the Georgia workers’ compensation system before, you may be shocked and disappointed to learn that some of the physicians you meet seem to have an agenda other than your health and best interest. The Georgia workers’ compensation statute has created an environment where insurance companies have a financial interest to find and use doctors who downplay the seriousness of your injuries and who intentionally avoid referring you for necessary, but expensive care. 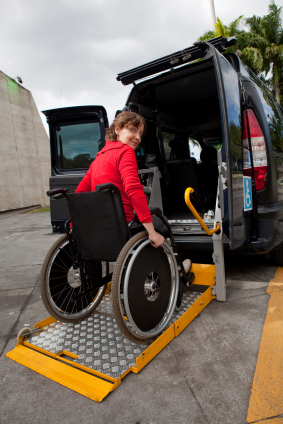 The net result of this system can mean delay and unnecessary suffering for you. I sometimes receive calls from injured workers who are receiving weekly wage benefits as well as medical care, who wonder why they should hire counsel if everything “seems to be working out okay.” Sometimes they sense that something is not quite right but are wary of rocking the boat. Often, when a worker injures his back on the job, the human resources manager will take down a claim and refer the worker to an industrial clinic for evaluation and treatment. All too often, the industrial clinic or other posted panel doctor will take X-rays, perform some basic neurological tests, then release the worker back to full duty work after a day or two of rest. I often get these cases four to six weeks later when the injured worker finds himself unable to work because of severe back pain and limited mobility. In some instances the injured worker faces pressure and even harassment from his employer due to his decreased productivity, and when I get the case, the employer/insurer may try to argue that any serious injury to the employee may have happened at home instead of at work. Recently I represented a very nice young man in a back injury case that clearly demonstrates why X-rays are insufficient to evaluate back pain. My client is a 31 year old man whose job involved installing and reinstalling fence posts. Starting at 8 AM, my client, using a sledge hammer, loosened fence posts by breaking up their cement foundations, cleaned the post base, then reinstalle the post with fresh cement. Beside using the sledge hammer, my client had to carry heavy buckets of cement and pour them in to holes in the ground.